Eyelid tics, spasms and eye twitching are extremely common. Eyelid twitches are termed as blepharospasms. In most cases, only the upper eyelid is involved, but there are times when the lower eyelid of your eye can twitch as well. Most of the times, eye twitching lasts for a few seconds, they usually come and go; but at times they can even last for a few weeks or months. Eye twitches are harmless and painless. They usually go away on their own. Most twitches will settle on their own without the need for any treatment. In few rare cases, these spasms may prove to be warning signs of some kind of chronic movement ailment. 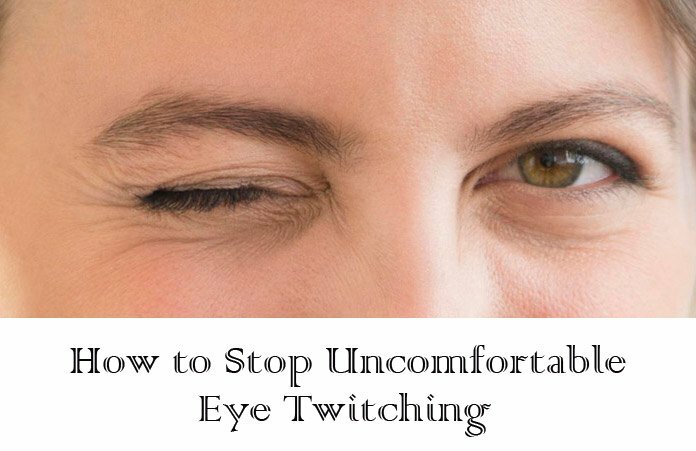 To find out a solution for eye twitching, you first need to know what is causing it. Eye twitching can occur to people with eye allergies. Irritation from bright light, sun, air pollution, and wind. Sometimes, eye twitching occurs for a few seconds and then goes away. There are times, when eyelid spasms can continue for weeks or even months. A warm compress will help in good functioning of the eye muscle. This will eventually help in stopping the involuntary movement of your eyelids. Take a bowl of water and heat it up. Now take a handkerchief or a towel and dip it in the bowl with warm water. Squeeze the excess water out and apply the towel on the affected eye. Keep the towel/handkerchief on the eye till the heat is gone. Repeat the process again. Keep doing this process till you start seeing some results. 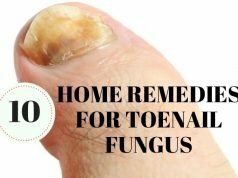 You can also apply this home remedy without using hot water. All you have to do is take a towel, heat the towel over a microwave or simply run a hot iron over it. Now carefully apply this hot towel over your eye. You should experience relaxed eye muscles in some time. Potassium deficiency is known to be one of the most common causes of eyelid spasms. Banana is said to be rich in potassium. Including bananas in your diet can help you with eye shivering. How to use: Consume bananas, which are rich in Potassium regularly. Eating bananas regularly might help you get rid of twitching as soon as possible. Water therapy is called hydrotherapy. Strained eye muscles are one of the causes for eyelid spasms. You can opt for this technique to help relax your eye muscles. You can use both hot and cold hydrotherapy. 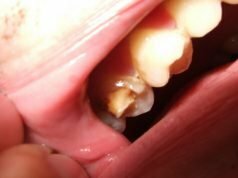 You can go for running water for both the techniques but it would be better if you opt for ice cubes while applying this home remedy. How to use: Take an ice cube and gently rub your eye with it. Once done, wash your eye with warm water. The cold from the ice cubes will constrict your blood vessels in the eye and the heat from the warm water will open it up. This process helps the nerves in renewing their nutrient balance and also relaxes your eye muscles. Hydrotherapy technique also helps in increasing blood circulation in your eyes. For best results, repeat this process 6-7 a day. Acupressure technique helps in increasing the blood circulation in your eyes and the closed eyelids will help your tear film to hydrate your eyes. Dehydration in your eyes is one of the causes for eye twitching. For this remedy, you have to locate the acupressure points in your eye. You can take the help of a doctor to do this. Once you locate the spots, massage each spot very lightly in a circular motion for around 5-10 seconds and then move on to the next spot. Once you are done massaging every spot, start the sequence again from the first one. Repeat this process for around 2-3 minutes. How to apply: Place your middle finger and your index finger on your eyebrows and rotate gently over your eye socket bone for a few minutes. Word of caution: Make sure your hands and fingers are clean before applying this technique to prevent infection of eye irritation. Rose water is a cleanser and can also be used as an eye lotion. Rose water is absolutely harmless. Eye twitching can be caused by several reasons, one of them being dirt caused by air pollution or wind. Rose water can help you keep your eyes cleaned and prevent any sort of infection or allergies. How to use: You can use rose water as eye drops. Rose water can be used to nourish and cleanse your eyes, thereby helping your eye muscles to relax. You can also use rose water compress alternatively. Just take a cotton pad and dip it with rose water. Cover your eyes with this cotton pad and keep repeating this procedure. Steam is a very helpful home remedy that will stop eye twitching immediately. Hot water steam helps in removing dirt from your skin pores and cleanses your eyes and face. It also helps in easing your nerve movements thereby helps in stopping your eye from twitching. How to use: Take a vessel of water and heat it. Add a few drops of eucalyptus in the water while boiling it. Take a towel and cover your head with it and inhale the steam. Keep doing this for 5-10 minutes. Repeat this home remedy twice or thrice a day for positive results. Cucumber is known to be one of the best home remedies to soothe your eye muscles and ease your nerve movement. Cucumber has anti-inflammatory properties. This helps in naturally relaxing your eye muscles. Cold cucumber also acts as a cold compress which will help in easy blood flow, thereby helping you get rid of eye twitching. It will also help you by reducing the stress level in the muscles around your lower and upper eyelid. How to use: Take a chilled cucumber and cut two round slices. Now put them on each eye and keep it there for 15-20 minutes until it starts coming to the room temperature. Repeat this process whenever you feel your eye twitching or an eye irritation. Potato juice or potato peel can work wonders in preventing eye twitching. In case you are suffering from constant eye twitching and want to stop eye twitching fast and relax your eye muscles, then apply potato juice, potato peel or potato slices on your eye lids. This will again act as a cold compress and relax the muscles around your eye. This will also help in steadier eye movement. It also helps in removing stress and tension from your body which is just another cause for eyelid spasms. Eye twitching can sometimes be cause due to vitamin deficiency like magnesium and calcium deficiencies. Magnesium plays a major part in the regulation of nervous and circulatory systems. This nutrient helps in preventing involuntary muscle function by promoting a normal blood pressure and strong heartbeat. You can start off by including magnesium rich food in your diet like avocado, nuts, leafy greens, beans, seeds etc. Calcium does more than strengthening your teeth and bones. Calcium helps you in maintaining your nervous system. In order to get rid of eye twitching, consume calcium rich food like cheese, orange juice, yogurt, and milk. Meditation has several health benefits. It can turn out to be a good cure for eyelid spasms. Stress and anxiety might be the cause of eye twitching. Meditation helps in reducing stress levels in your body. How to apply: Close your eyes and sit calmly for some time and even your breathing. This will help you in relaxing and will calm you down. You can also go for spa, yoga exercises or body massage. Avoid spending too much time in front of laptop or other electronic devices.